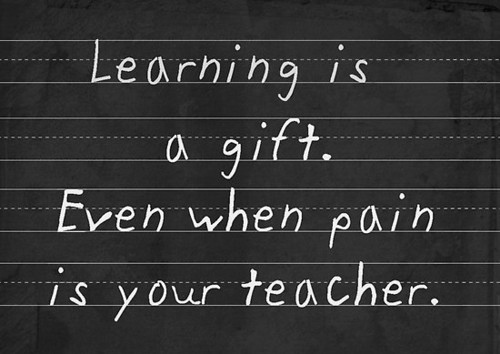 Learning anything from the pain? I knew I was beginning to recover from surgery when I became aware of the sticky square shapes in odd places on my body, the residue of monitoring patches. Now that I had the sense to realize they were there, it was time they were scrubbed off. Hadn’t noticed them for a week. My days were filled with meds, meals, sleep and occasional trips to the loo. Major problem; major surgery. Pain and suffering. Weeks of recovery. I hope no one has told you that once you become a Christian, all your problems are solved. No more suffering or pain, just smooth sailing ahead. It’s a lie. If someone told you this lie, I hope you don’t believe it. All it’s going to bring is disappointment with God over something He never promised. When I embraced Christ, I made the mistake of inviting my running partners, now called “road dogs,” to my baptism. That pretty much cleared my calendar. The ones who stuck around, thinking this was just a phase, exited stage right when they realized I really was a changed person. I suffered the loss of “friends.” Then there were the family members who went a little crazy, the religious people who didn’t go for all the “saved” stuff. The person who had given me my first Bible became unglued. To this day, our relationship is strained. Bodily suffering can pale compared to emotional hurt. Still, all suffering hurts. We’d all like to avoid pain, but don’t believe that other lie that if you “just had enough faith,” you wouldn’t get sick. God is with us in all our suffering. I encountered Him in the longtime nurse who brought cups of warm broth to soothe my aching throat after surgery left me barely able to swallow. I glimpsed Him in the bright bouquets that arrived on my doorstep, the meals brought, the cards mailed. I felt His embrace in the hugs of family and friends, heard His voice in their phone calls. No servant is greater than his master. Jesus suffered; we will suffer. I’m learning that dust bunnies will wait. That the people I care about are more important than the work I do. That feeling good is a gift easily taken for granted. That, in spite of everything, God is good. He is faithful and worthy of obedience and praise.